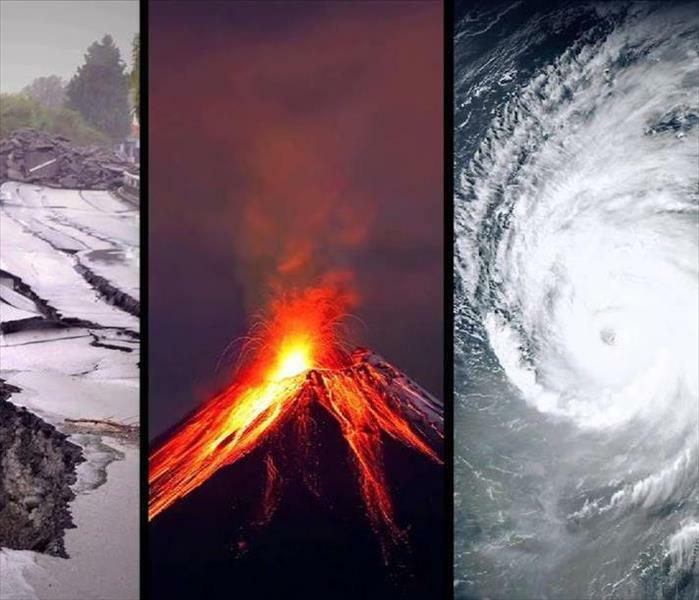 When facing the uncertainty of disaster such as flooding or fire, it can be overwhelming to figure out where to begin. We know all too well the complications that contribute to the stressful occurrence of losing your home or valuables to unexpected events. Fortunately, your neighbors at SERVPRO are available 24 hours a day 365 days a year to help you through your worst of times. Being equipped with the tools and personal needed to complete disaster relief measures is something we pride ourselves on. 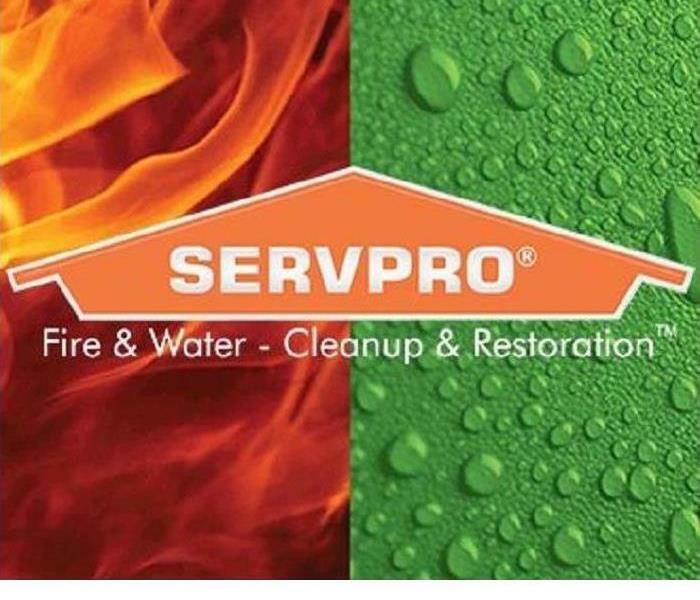 SERVPRO of Lake Geneva provides the very best in restoration. A few of the items and pieces of machinery you might see on our arrival are some of the best the industry has to offer. With these tools at our locations we can fully equip ourselves for whatever disastrous event occurs. Never face damages alone. Give us a call day or night and we will be there to help! Giving back to the community we serve is something our family owned business holds at the highest regard. In today’s society it’s easy to become manufactured with little real people connection. 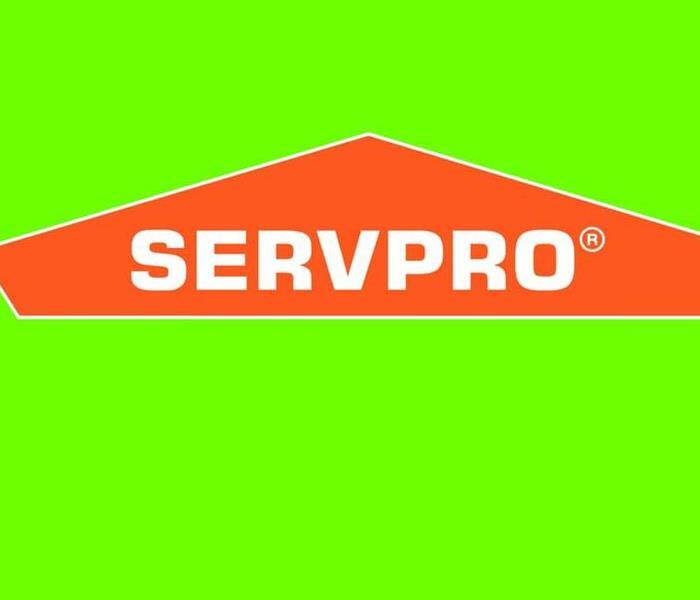 Our staff at SERVPRO of Lake Geneva is not like the rest. Being family owned and operated we have gained experience in the industry for more than 30 years. We have seen the under belly of most disasters of residential or commercial damages than anyone in the state and have the skilled professionals to utilize that knowledge. We take time to get to know our community. Being involved in local events and supporting local business is very important to us and our mission as a business. We treat our entire clientele base with the same compassion and expediency we would give to our own family members. Disasters can be intimidating, we try our very best to comfort you in your times of need while being honest and direct about the steps we need to take to get you back on your feet. Your needs will always be heard and your questions will always be answered. From the time we receive you initial phone call to the time we complete the restoration of your home or business you will never feel alone. Give us a call day or night, we are happy to help! Choosing a restoration company to come into your home can be a difficult decision to make. You may not be familiarized with what work needs to be completed and how much man power it will require to complete. 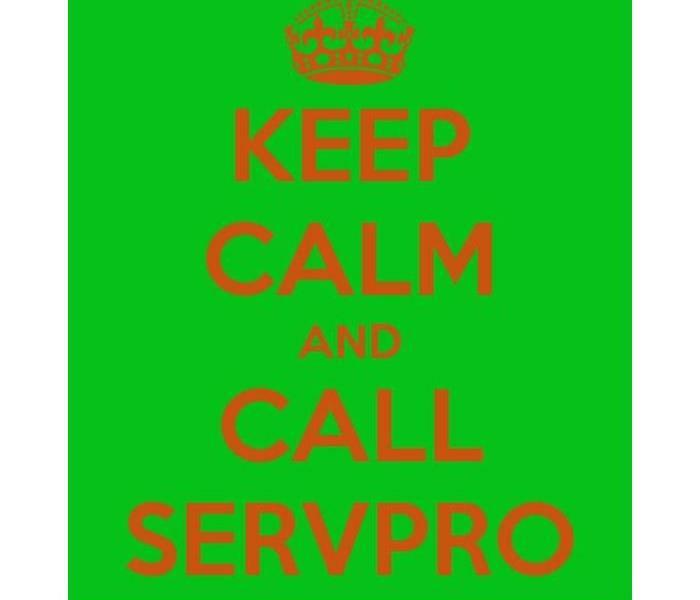 SERVPRO of Lake Geneva gives you peace of mind by finishing any project we are assigned from beginning to end. Rather than having to hire multiple companies to repair multiple types of damages, we do the work for you. Having more than 30 years of experience we are one of the most highly respected and sought after companies for restoration, a reputation we hold dear to us. With a full staff of over 30 employees, we are able to be on call and ready to assist our customer base any time of day or night on any day of the year. Disasters can come in many forms. From fire, water, mold and trauma we have the capabilities you help in every scenario. With top of the line equipment and a crew of highly trained individuals which have been meticulously selected through a vigorous application process, we only offer the very best in commercial and residential repair. Our staff will explain which steps we are taking to assess the damages and what is needed for repairs. You will never feel left out of the construction process, as we keep in constant contact for any questions you may have. When disaster strikes, you can count on us to be there for you. Water damage can arrive in many different shapes and many different ways. From a slow drip to a burst pipe, water is a destructible force to be reckoned with. 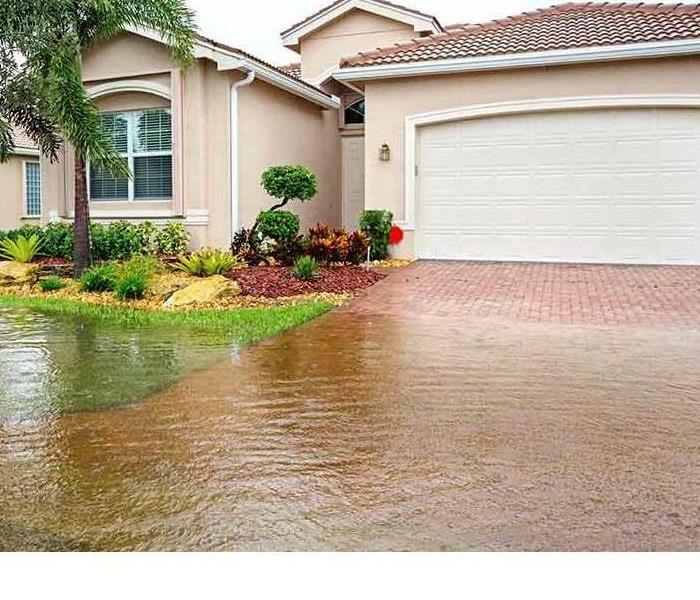 Though some situations may be unavoidable, such as a swell in a nearby river, there are certain measures you can take to help prevent home flooding. Preventative measures truly are worth the effort. Gut it out: Good drainage in your gutters is one of the major steps you can take to avoid a water leak issue. Air tight: Caulking and sealing your windows is a great way to prevent unwanted water exposure. Pump up the jam: Testing your sump pump is vital in preparation of water damage avoidance. You OK in there? : Your plumbing and pipes within your home or business can be a major factor in water loss causes. Be sure to check on your pipes periodically to avoid any disasters. Preparing your home in the event of a water loss situation can help you save money and time in the long run. Follow these tips to keep your head above water! When unwanted water seeps into places it doesn’t belong, it brings numerous issues along that can make matters worse. Water damage can become more serious as the problem goes undetected or unaddressed. Not only does water damage spread, it also becomes significantly at risk of mold formation in a short amount of time. Unfortunately, water damage isn’t always apparent. Our skilled technicians at SERVPRO of Lake Geneva are equipped with infrared sensors which can detect temperature changes within the walls. But what are the signs to notice before you give us a ring? Here are 4 signs of impending water damage. Do you hear what I hear? : Most of us are familiar with the sounds our homes make. From the rushing water of the plumbing systems, to creaking floorboards in the hallways, they become less alarming as time goes by. What you need to pay attention to are the different or unfamiliar sounds your home may be making. From a slow drip to flowing water, be aware of the sounds around you, they may indicate a larger problem. What stinks? : When moisture comes in contact in dark places, a distinct scent of mildew is sure to follow. Trust your nose and follow it to the source. Early detection may help you prevent a huge mold infestation on top of the water damages. From a puddle to a pool: Have you noticed unexplainable pools of water? Any puddles that keep reappearing after you’ve cleaned them? 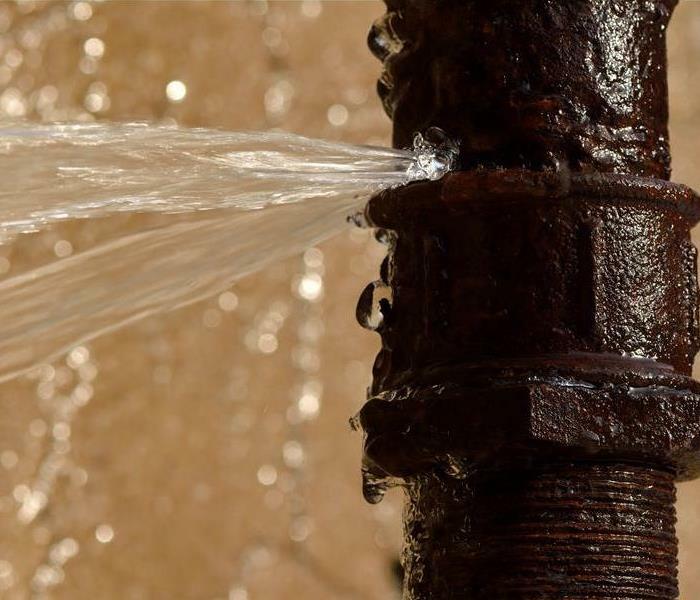 Chances are you are facing a leak somewhere in the area. Cold Abode: Moisture and water tend to zap a home of heat, as it draws it in to evaporate. If your home is difficult to heat or your walls are cold to the touch, it may be an indication of moisture within. 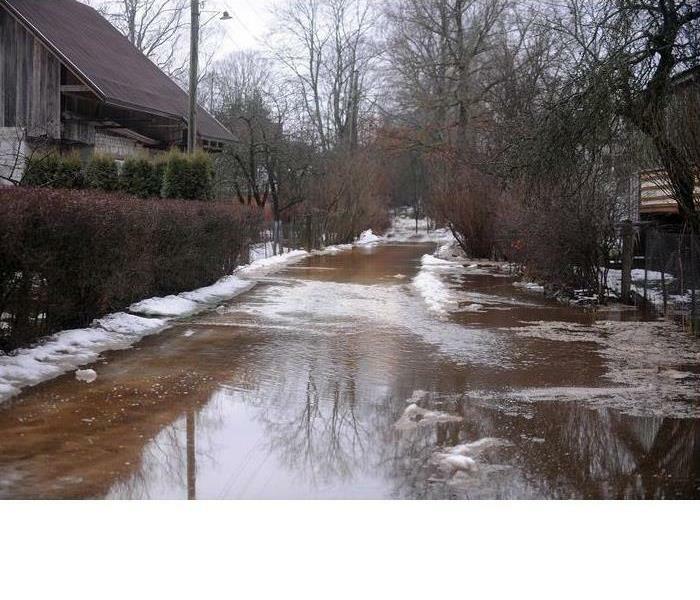 When water damage presents itself unexpectedly, give us a call day or night and we will be there to make things right! There’s nothing like staying warm through a bitter cold evening in Wisconsin. The whipping wind is notorious for its ability to steal your breath away in a matter of moments. Heat is essential and our only defense during the coldest months of the year. December, January and February bring the harshest wrath. As we are in the grips of a record cold forecast ahead of us, listed below are preventative measures and tips to keep in mind to prevent your home from going up in smoke. Side effects of heating sources: Carbon Monoxide is a silent and invisible threat to every member of your home. It is an odorless and colorless gas that is commonly omitted from cooking equipment and heating appliances. Be sure to have proper ventilation and to have your equipment up to date to prevent the possibility of exposure to the poison. Having a CO reader in your home is an essential tool as well, as it detects the threat immediately. Mood lighting: Candles are a common threat statistically in the winter months. Never leave a candle lit for more than 4 hours at a time. Supervision of any lit candle is advised at all times. It’s electric: Electrical units are a leading cause of home fires in the United States. 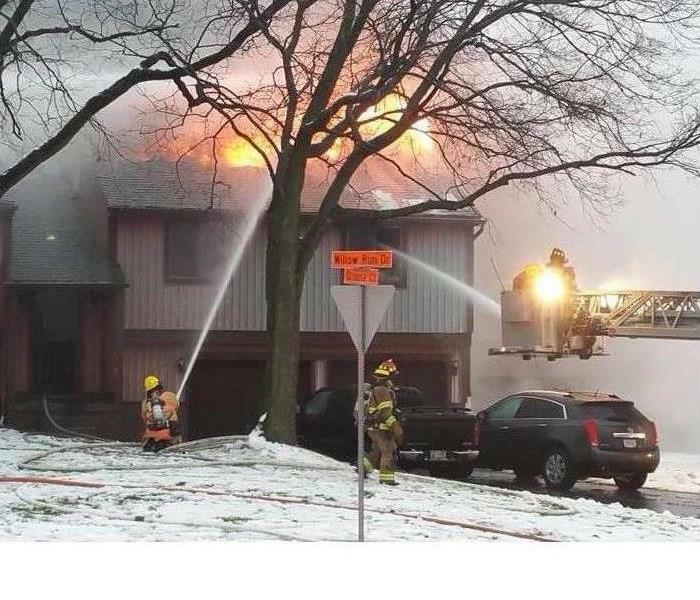 Lighting equipment, washer/dryer fans and space heaters are typically the culprit in these incidents. Following instructions and turning units off when unused is a preventative measure to take to avoid disaster. Never use any heating source unsupervised. To avoid disaster this winter use these helpful tips to remain safe and cozy during the cold dark days. 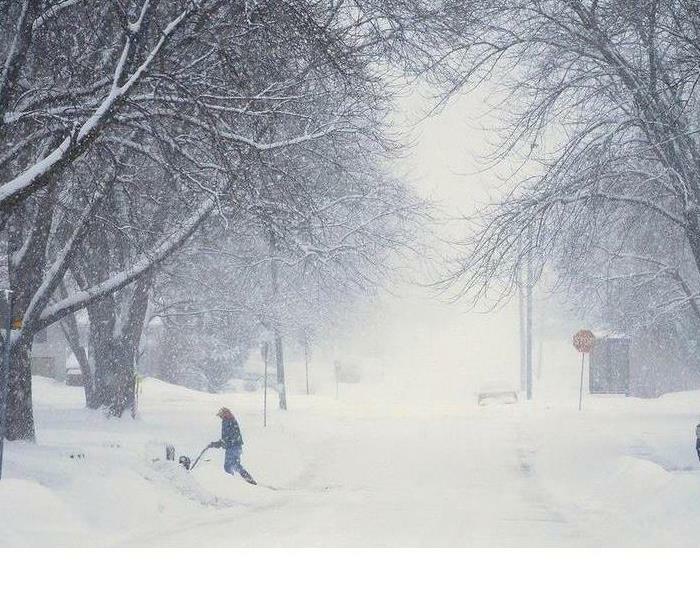 Winter weather in Wisconsin is undeniably unpredictable and can potentially be deadly. With temperatures that can range anywhere across the scale, from mild and cool to subzero and catastrophic it is essential to know how to prepare for an incoming blizzard and or freezing temperatures. Listed below are steps to take in order to prevent disaster when the bitter cold is on its way. Roger that: Charge cellphones and spare charging units. It is also recommended you physically write down an emergency contact list in the unfortunate situation your phone may lose power. Family members, your power company and any other emergency numbers should be included on this list. Lock it down: Storm proofing your home is another step to take when an impending storm is headed your way. Apply weather stripping to doors and windows. Covering your windows with plastic sheeting helps keep the cold at bay as well. Keep all unnecessary rooms closed off to help isolate the heat in rooms that are used. Stay indoors and restrict travel for emergency situations only. These simple preventative measures can help you remain prepared and safe during the bitter cold months. Stay cozy out there Wisconsin! The kitchen is the heart of the home. It is a universal meeting point to converse while rummaging for a snack and is an essential part of any household. So it should be no wonder to know that nearly 41 percent of fires originate in the kitchen area. Multiple factors can play into the dangers of in home fires, many of which we overlook. 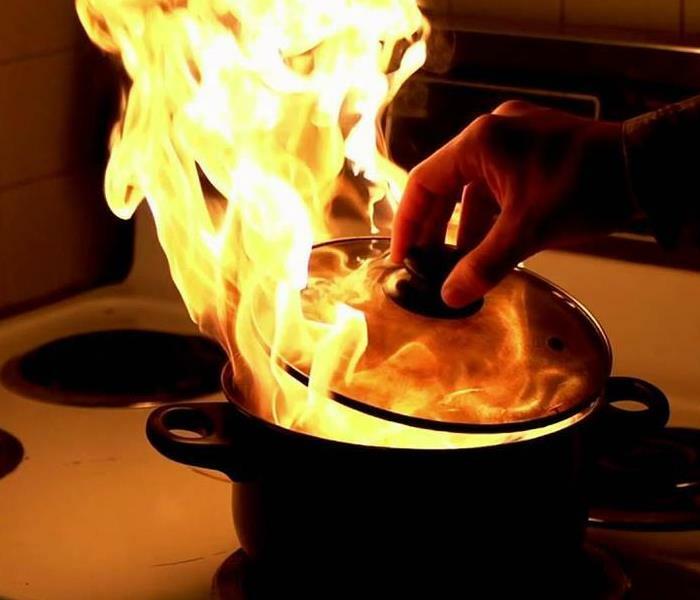 We will be going through a list of steps to take when confronted with a grease fire and how to practice the proper techniques to either get the fire under control, or remove yourself to seek help. The most immediate approach you can take is to smother the flames with a cooking lid or cookie sheet. Leave on flame until it has been extinguished and the surface has cooled. Baking Soda or Salt are the only two kitchen ingredients to be used when putting out a grease fire. Never use flour or any other substance to extinguish flames as they can make the fire worse. If all else has failed and the fire is still manageable, use a fire extinguisher to control situation. NEVER USE WATER TO PUT OUT GREASE FIRE FLAMES. Do not attempt to move burning items outside. If you cannot get the flames smothered it is imperative to immediately vacate the home and seek help. Kitchen fires can spread very quickly leaving you vulnerable and reduces your points of exit. Close all doors behind you as you leave as it can help contain the spread of the flames. Call 911 immediately from a safe distance. Never under any circumstances reenter your home while fire is in progress. Always have a current evacuation plan composed for your family to know which route is best to safely leave in the case of an emergency. Home fire loss makes for a long process of recovery as well as the possibility of losing precious items that cannot be replaced. These simple steps and help you prevent disaster from striking and keep your family safe.